Newtown boss Chris Hughes has insisted himself and his players are keeping their feet firmly on the ground despite their fine start to the season. 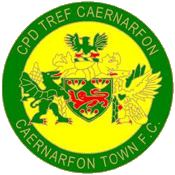 A good run of form has seen Newtown rise to third in the JD Welsh Premier League ahead of Friday’s trip to Bala Town. Hughes said his side are keeping level headed ahead of a tough clash at Maes Tegid. He said: “We are going well, we’ve had a good start but we aren’t getting ahead of ourselves. “But all games are tough and Bala this week is one of the toughest away trips in the league. “We just want to keep ticking over to keep getting points on the board. “The run of four wins are all well and good, but they mean nothing if we can’t go and get something on Friday. The defence has been solid so far this season, but also goals are coming from all directions. Joe Kenton now has four goals after being played in a central attacking role, and Hughes has praised Kenton for his impact. He said: “He has done well, he has got great work ethic. “He has improved which has been great to see since he joined almost two years ago. Hughes believes Bala is up there as one of the toughest places to go, and he is expecting the Lakesiders to try and hit back after defeat at Latham Park earlier in the season. He added: “Bala is up there with Connahs Quay and TNS as one of the toughest places to go. Hughes said he may make a couple of changes for the game, but it comes too early for Jake Cook, who is returning from injury and will turn out for the under 19s this weekend.